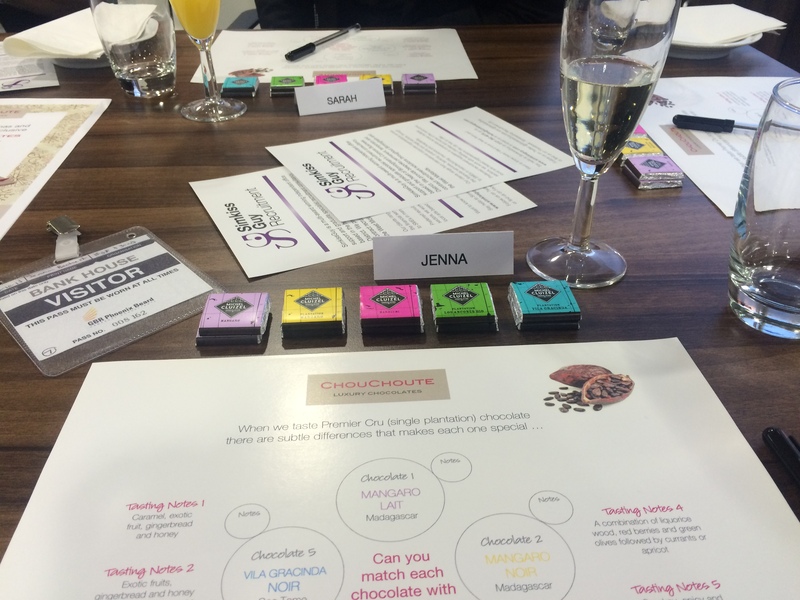 Networking: Chocolate & Wine Tasting! On 20 October 2015, I was invited to an Event organised by The Gatekeepers Guild which is a Networking Group brought to you by SimkissGuy Recruitment created for PAs, EAs & Office Managers in Birmingham. When the email came round with the words ‘Chocolate’ and ‘Wine’ tasting, I didn’t even need to read the rest to know I was in! So with three other colleagues from my firm, we headed into Birmingham for the event. 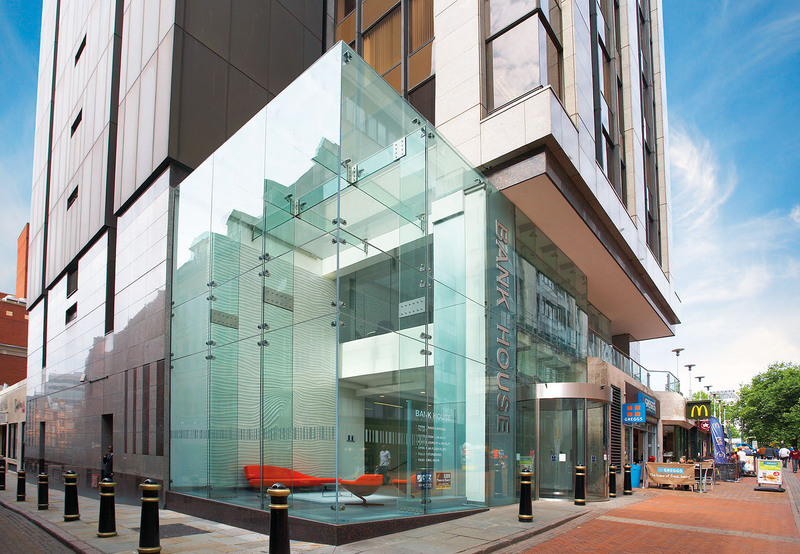 The event kicked off at 5:30pm and it took place at Bank House in Birmingham. We took the elevator and was greeted with this wonderful view overlooking Birmingham! We were given a glass of champagne (or two) & after a little mingling, the Chocolate & Wine tasting begun. 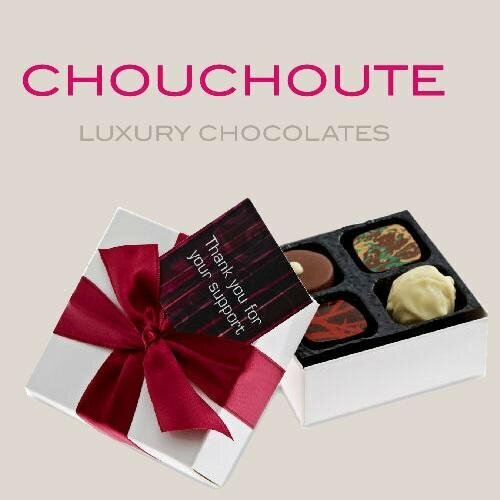 Providing this amazing experience was Chouchoute Chocolaterie who have a wonderful shop in the Great Western Arcade in Birmingham. The shop is co-owned by Pierre Soualah who was trained at Fauchon in Paris & Selfridges in London – not bad eh! Pierre went through the whole chocolate process. From the cocoa bean all the way through to the tasting, Pierre went through in detail everything you would ever want and need to know. His passion really came through in the way he spoke about the chocolate and he had me completely sold even before trying the chocolate. But next, we got to taste the chocolate – yay! Each chocolate was different from the region the bean was grown, to the percentage of cocoa in each chocolate. When going through each chocolate it was a lovely way to interact with people we work with, and getting to know the people we didn’t work with. Trying to guess and understand the flavours of the chocolate was a real fun experience and with Pierre there to talk us through everything, I think I could well be a chocolate expert! After a glass of wine and a bit more of a natter, it was time to catch the train back home. It was such a well organised, brilliant evening with some really lovely, hardworking ladies! Networking with people in similar jobs is a really positive experience and something companies should definitely encourage! I really can’t wait to visit Chouchoute and pick up some bits! They cater for any occasion; birthdays, anniversary’s christmas, Weddings & they offer a wonderful corporate gift selection. They also deliver to almost any address; business or personal & you can also add a personal message to your gift if you like. You will not find chocolates like these anywhere. They are all handmade in a timeless fashion & the taste is second to none! You can also find them on social media & I highly recommend checking out their website!